How’s the US vs. EU relationship really looking? 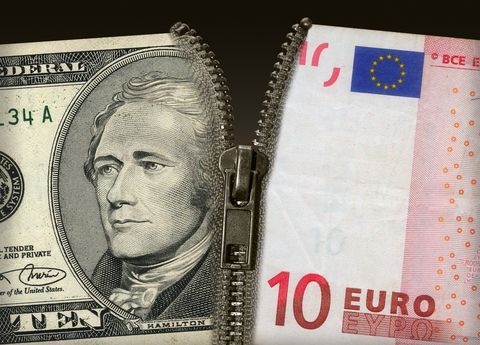 A considerable amount of attention by online Forex traders has centred around the relationship between the United States dollar and the euro. There continues to be a significant amount of speculation in regards to the monetary strategies employed by the Federal Reserve in relation to the actions of the ECB. In particular, surprisingly robust employment figures out of the United States have hinted that the Fed may hike interest rates in December. There are also rumblings that the ECB may be intending to cut deposit rates. In effect, this would cause a broader gap between these two currencies. Transatlantic concerns continue to be an issue within many online Forex trading circles. The very same non-farm payroll data released from the United States has caused the pound to slide against the dollar. Figures have shown that hourly earnings have increased by 2.5% in relation to 2014. It should be noted that this is the most profound increase in the past six years. This only highlights the weakening power of the pound in comparison to the dollar. Some Forex analysts feel that the Bank of England now may support the Federal Reserve raising interest rates in the coming months. There is still a very real concern that falling crude oil prices could have an impact on the relationship of the dollar with other currencies. Although this has led to some negative figures in terms of the Dow Jones Average, there is still seen to be little movement warranting a bearish stance in terms of the dollar. It appears that all eyes will continue to be focused on the actions of the Federal Reserve in December. Should interest rates be hiked, it will be interesting to see the position that online Forex traders take before the holiday season comes into full effect. Will the Federal put a stop to the stimulus program? How much is the Euro damaged by the ECB?